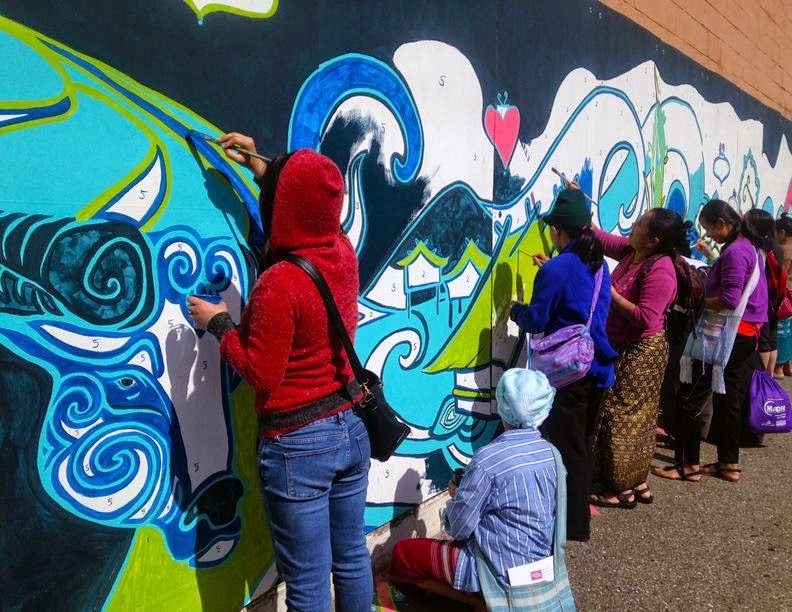 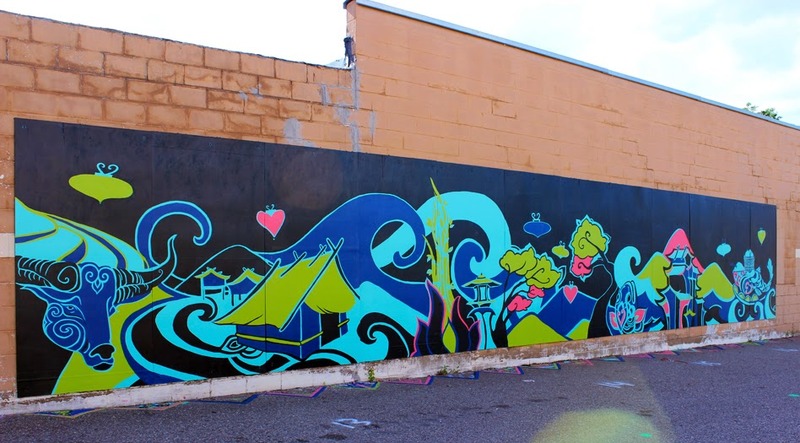 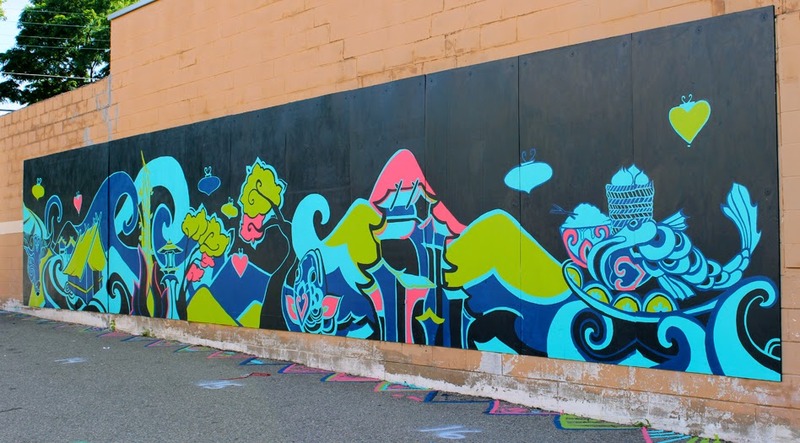 The Little Mekong Starry Night Market Scene mural was inspired by the diverse culture in Minnesota. 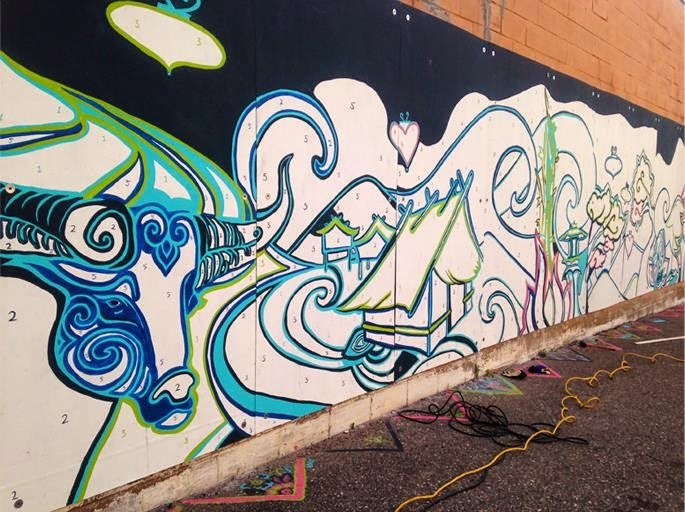 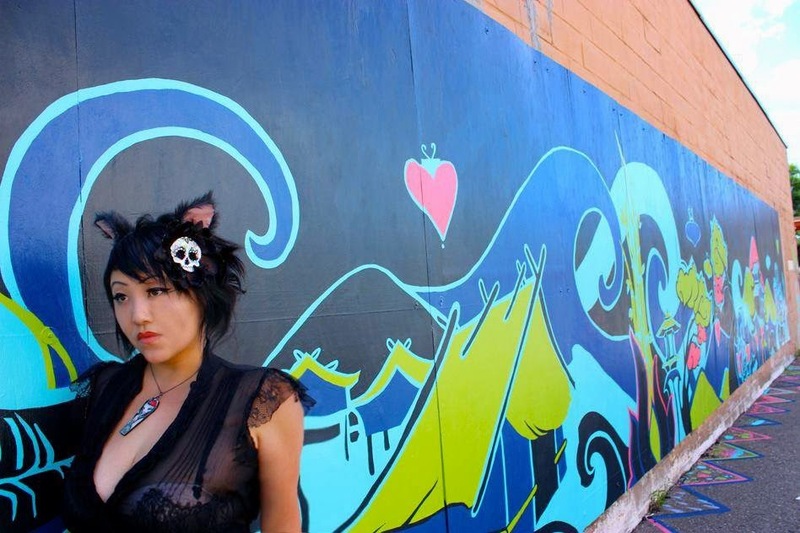 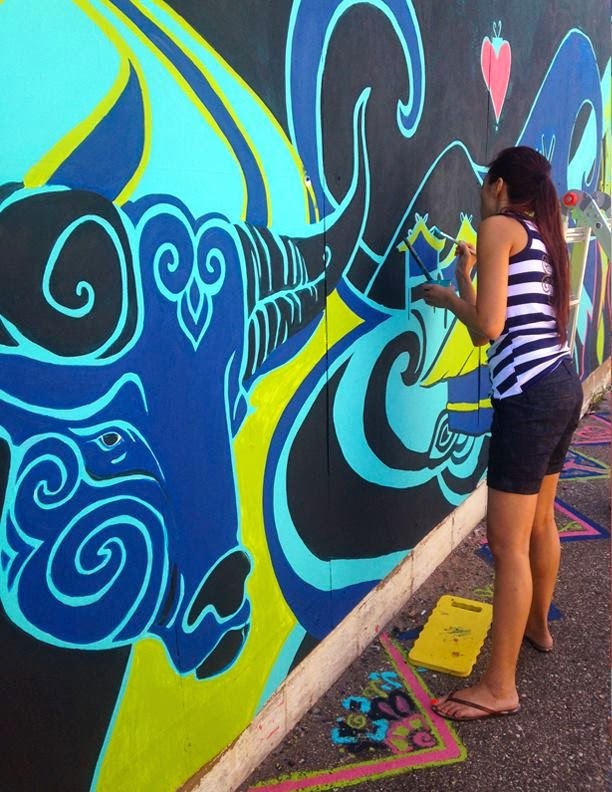 This was a community arts projects and with your help we were able to spark inspiration within our community. 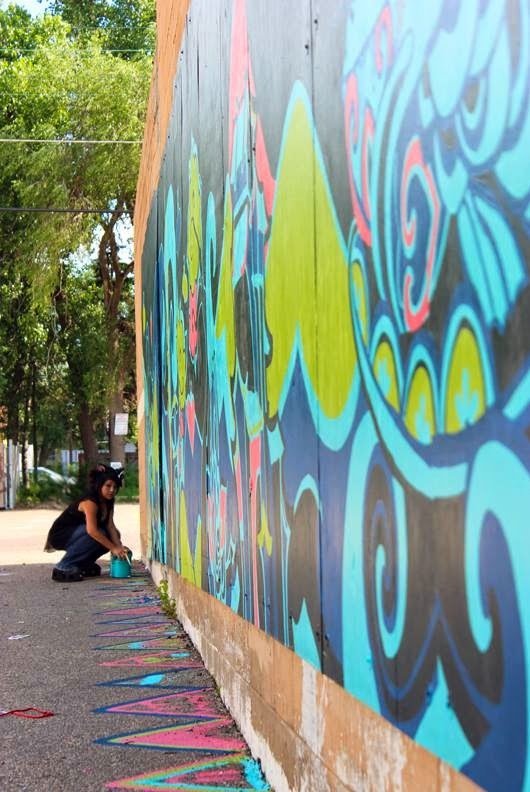 The color scheme reflects the bright and vibrant cultures that enrich the city of St. Paul. 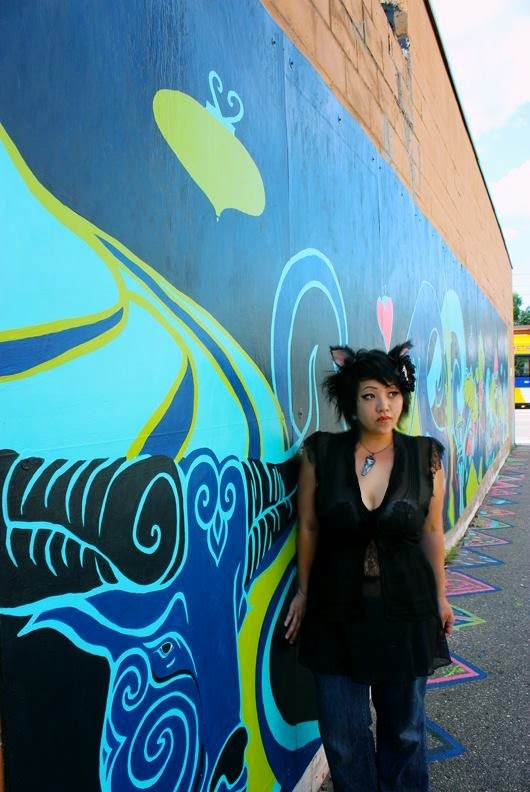 I grew up in Frogtown so it was wonderful to give back to the community. 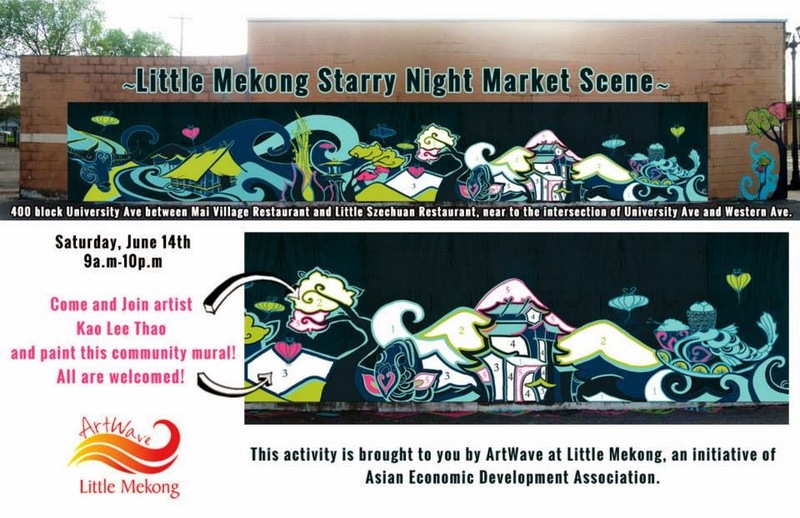 This activity is brought to you by ArtWave at Little Mekong, an initiative of Asian Economic Development Association.